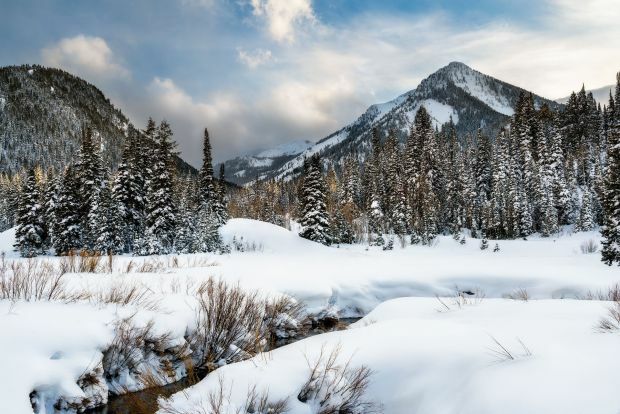 I recently made a quick trip after a snowstorm here in Utah to explore the Big Cottonwood Canyon area near Salt Lake City. To say I haven’t done much Winter landscape photography is an understatement, so I figured I’d make some changes to that. The goal was to catch some later afternoon golden hour light over the snow covered pine trees along with breaking out the new Phantom 4 Pro+ drone to see what kind of images and videos I could come up with. I’m still learning on this thing, but it sure is fun. Video is a new arena for me. I’m trying to bring you the reader/viewer along with me on some of my adventures and video seemed the best route for this. Hopefully it works. If there’s anything you want to see and any ideas you have for changes, please leave a comment below. I’m all ears when it comes to this new venture. Stay tuned for more to come and be sure to subscribe to my YouTube channel for the latest as I continue to add more videos, and you can check out a couple of the images captured on this trip below. 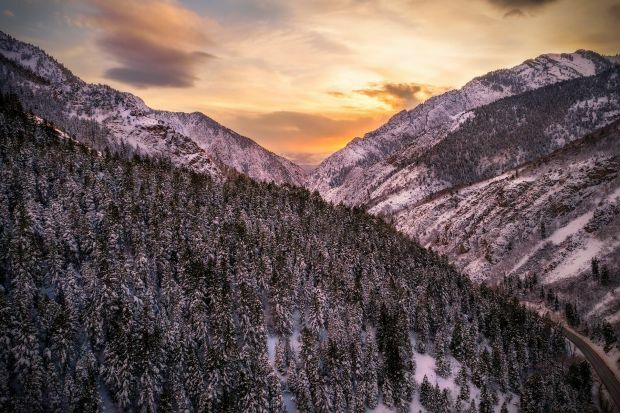 Looking down Big Cottonwood Canyon near Salt Lake City from above at sunset on a snowy Winter evening.